Have you wondered what is behind the scenes at an archive? Any idea what work goes into preserving the records that we use for our genealogy research? I recently presented a class on using probate records at the Family History Workshop sponsored by the Utah Division of Archives and Records Service and was treated to a tour of the archived records. My guide opened an innocuous door and when I entered the archive I was shocked to see the boxes extending five stories high! Glen Fairclough, the Utah Public Notice Website Administrator, has worked at the Utah Archives for over 25 years and explained that whenever a patron requests a record, an archivist must come into this room to retrieve the microfilm or original document from one of the thousands of boxes. No wonder it takes some time between your request and receiving the record. 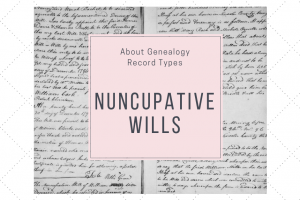 Only a very small portion of the vast amount of records in the archives are digitized; another good lesson for us as genealogists that not everything is online! I learned that the archivists are actively microfilming original records. Glen shared that the microfilm will last for hundreds of years and is the best preservation method available. With a staff of just over 20 full time archivists, this is no small task. I previously wrote about my experience researching at the archives and although this was not a research trip, I couldn’t resist a peek into the Research Center. Note that the sign says “Please take in loose note paper and pencil only.” If you’re planning a trip to the archives, be sure to make copies of your research log template and plan to take those into the center. No spiral bound notebooks allowed. Laptops, flash drives, and smart phones are allowed into the center, all other belongings must be stored in the provided lockers. During the free lunch (yes, there really is a free lunch sometimes) I chatted with friend Pat Richley-Erickson, also known as Dear Myrtle. Pat provides valuable service to the genealogical community through her blog, weekly hangouts, videos, and more. I also met a new friend, a BYU family history student, who also happens to know Nicole from her years in Tucson, Arizona. One of my favorite things about presenting at conferences is making connections with fellow genealogists and this was no exception. Presenting a class on probate records completed a great day. 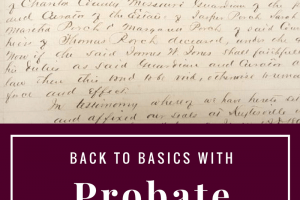 I’ve written several blog posts about probate and enjoyed putting it all together in a presentation. My slides and handout are below. The presentation was recorded and can be accessed on the Utah Division of Archives and Records Service YouTube channel. Best of luck in your genealogical endeavors! 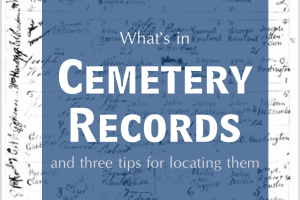 What’s in a Cemetery Record? What an interesting lecture. Probate records can truly be treasure troves of genealogy information. You hit the jackpot with that one! Thank you for sharing, Diana. Thanks Sherri! I’m glad enjoyed it. Yes, probate can be amazing. Lately I’ve been on a roll and found probate for several projects. Two of them were grandmothers naming their granddaughters as heirs, providing the connecting links I needed – all about 1790.